Paul Dinkins brings 38 years of domestic and international retail management consulting and recovery audit experience to the ATG executive team along with portions of his career dedicated to serving the Fortune Global 500 and U.S. government agencies. More recently Paul has been a driving force in the transition of Audit Technology Group from a recovery audit service provider to a purchase transaction science company. Paul testified on several occasions before Congress as an expert witness on recovery auditing in support of passage of the “Improper Payments Act” of 2002, legislation that requires Federal Agencies to undertake recovery audits to identify and recovery overpayment to suppliers of goods and services. Paul was also instrumental in the development of the Medicare recovery audit demonstration program, the success of which resulted in nation wide program expansion. Paul began his career as a Buyer for a major retail chain. 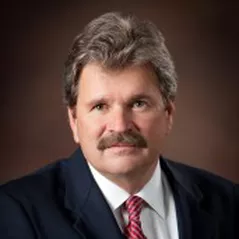 He began his management consulting career in 1976 culminating as a Partner with Senn-Delaney Management Consultants until 1992 when he joined PRG-Schultz as Executive Vice President until 2007. He was instrumental in the acquisition and relationship management of clients throughout North America, South America and Europe as well as six US government agency clients that produced $800,000,000 in fee revenues over his last 10 years. Paul received his BA degree from the University of Pittsburgh. He is an instrument rated private pilot and avid off shore fishing enthusiast. Paul, his wife and son reside in northern Colorado.